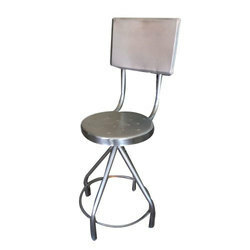 Pioneers in the industry, we offer stainless steel stool from India. We are a reliable firm engaged in offering Stainless Steel Stool to our clients. These stools are made up of high quality stainless steel. These stools are highly demanded in hospitals and clinics. These stools are highly durable and are offered at reasonable rates to our esteemed clients.